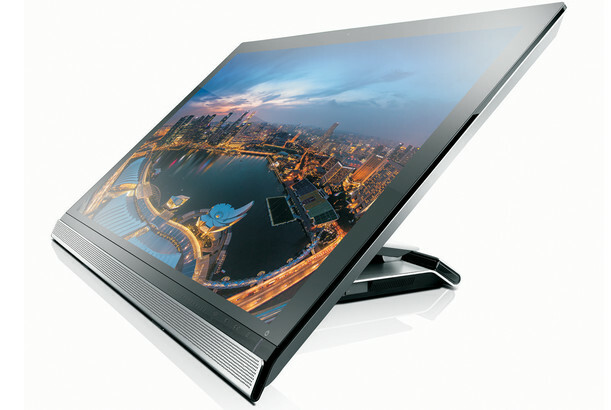 Serving up an outrageous 3840 by 2160 pixel resolution (that’s more than 8 million pixels crammed into a 28″ display), Lenovo’s ThinkVision 28 monitor looks to be a stunning piece of kit – and unusually comes with a built-in Android OS. The 10-point touchscreen display can be hooked up to a desktop or PC, but can also be used as a standalone Android device, running Android 4.3. The ThinkVision 28 packs an Nvidia Tegra processor, backed by 2GB of DDR3 memory and 32GB of eMMC storage, and can synch secondary devices such as smartphones and tablets to the display. Connectivity options include an onboard ethernet connector, three HDMI ports to support PCs, game consoles, and other devices, NFC (near-field communication), a single DisplayPort 1.2 connector, one USB 2.0 and three USB 3.0 ports (one of which will provide always-on charging) and a microSD slot for storage expansion. Sadly it looks like this delightful chunk of tech wont be released into the wild until July 2014, with prices starting at a relatively affordable at $1199. 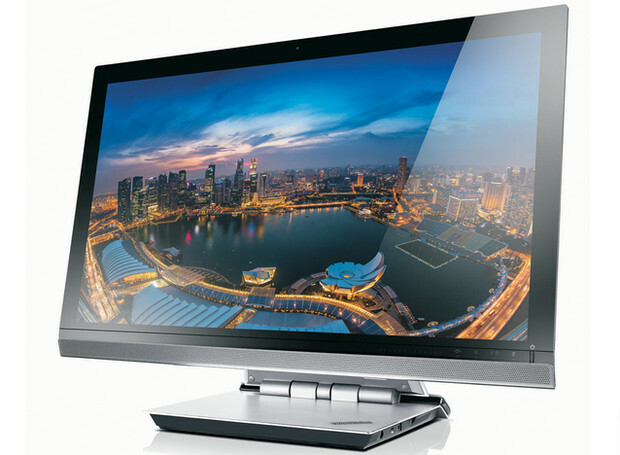 Also announced is the ThinkVision Pro 2840m, which is a more conventional 28-inch display capable of supporting resolutions up to 3840 by 2160 pixels. The monitor can be tilted, swivelled and adjusted for height making it handy for business and entertainment purposes, but the colour gamut of the 10-bit display is limited to 72 percent (we’re not sure how that would impact on regular consumers, if at all). There’s no shortage of ports on offer, with the monitor packing A DisplayPort, mini-DisplayPort, HDMI, and MHL (Mobile High-definition Link) connectors, plus an integrated USB hub with three USB 3.0 and two USB 2.0 ports, stereo speakers, and a headphone jack. The ThinkVision Pro 2840m will be available in April 2014 for $799.